What do you guys think of these shoes? I hate them, it just looks like the person is standing on their toes. However, a lot of others do like these. 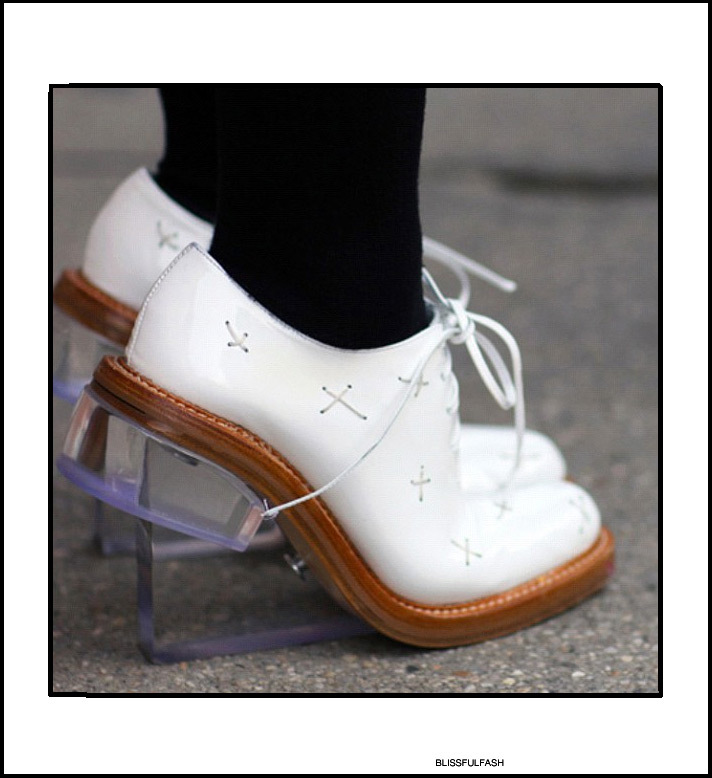 These shoes incorporate the clear heel trend that is coming into the mainstream fashion world right now. What I really want to know is would you wear these!?? If so, how!? June Ambrosia recommends!? I say Fail!